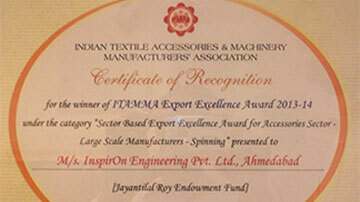 InspirOn Engineering awarded the Segment Export Award 2013-14 at TMMA. 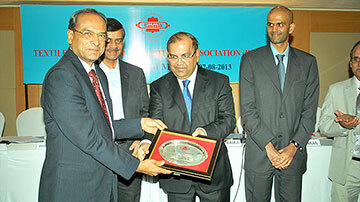 InspirOn Engineering awarded the Segment Export Award 2012-13 at TMMA. 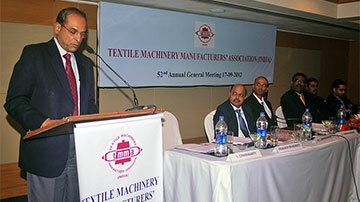 Our Chairman - Mr. Prakash Bhagwati proposing vote of thanks at TMMA AGM held at Mumbai. 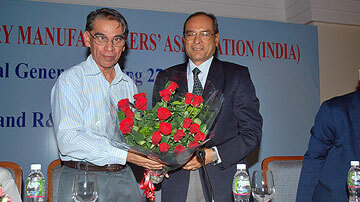 InspirOn Engineering Pvt. 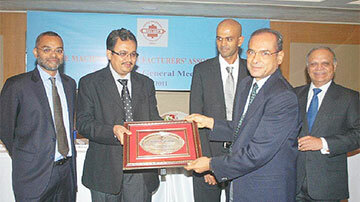 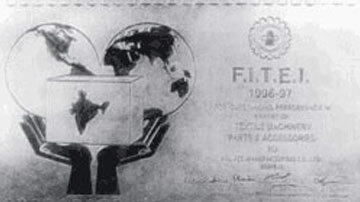 Ltd. received award for achieving highest volume of Exports in 2010 -11 in Textile Accessories category. 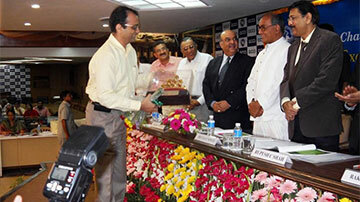 InspirOn achieved Export Excellence - Uday Puraskar Award 2008-09 from Gujarat Chamber of Commerce & Industry (GCCI). 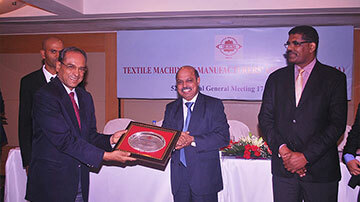 Outstanding performance in Exports of Textile Machinery parts and accessories consecutively for five years.